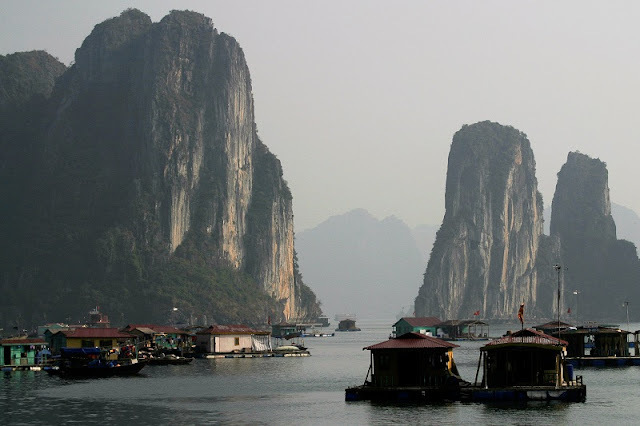 Choosing Vietnam vacation packages in a country that has been close to tourism since the 90’s, in this article I will introduce you the most famous destinations in northern vietnam. The place has a rich tourism background between tradition and modernity that today is one of the most interesting tourist destinations in Asia and in Indochina peninsula. Made up of over 1960 islands and islets, Halong Bay is one of the most extraordinary seascapes in the entire World. Make your way in a traditional junk boat through emerald waters, weaving through towering limestone pillars - a truly spectacular sight for all those who visit! The Halong Bay weather in December is typical of winter weather in Southeast Asia; visitors can expect dry, sunny, and moderately warm days. December is one of the most popular months to visit because the Halong Bay weather is perfect for outdoor activities. Sapa is popular for its trek in the mountain and by the rice terraces; homestay with the tribe is the best way to own your Sa Pa adventure. 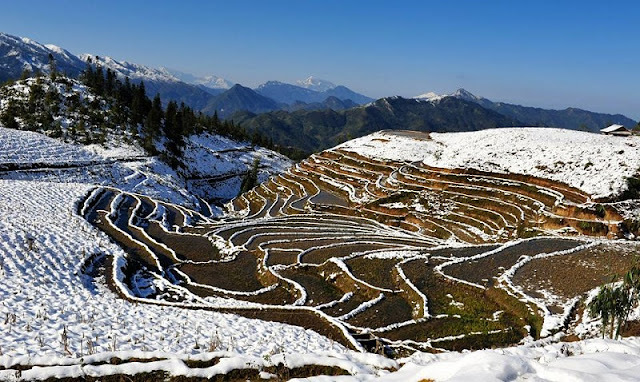 From late December to February, Sapa has a harsh winter with temperature sometime drops to below zero degree and tree branches and grass are covered with ice. Sa Pa on icy days always attracts many tourists and photographers and strangely all the most beautiful pictures about Sapa are taken in wintertime. Some recent years, snow falls at the end of December which is the great time for a Christmas holiday and New Year vacation. Travelling to Sapa at this time, visitors may contemplate beauty-spot as breath-taking as in picture described in the Snow Queen fairy tale of Andersen. Be sure to allow a minimum of two or three days to explore the city of Hanoi, as well. 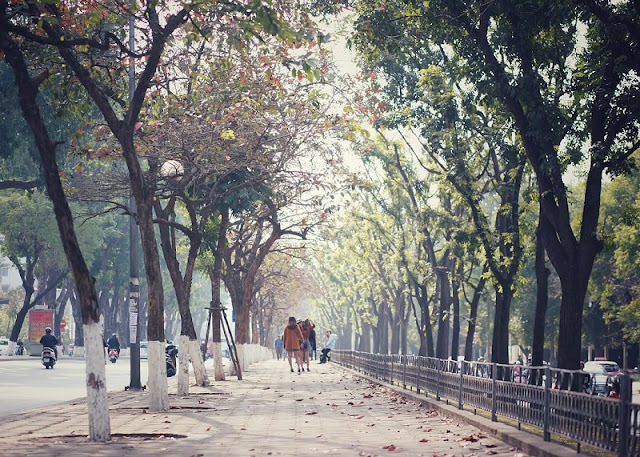 Beautiful Hoan Kiem Lake is the living cultural, historical, and spiritual heart of Hanoi and it’s a “must see” place to visit. The ancient Old Quarter is a wonderful place to wander, with its maze of small streets and jumble of shops. Historically, each block specialized in selling a certain item—tin, bamboo, herbs, cloth, pottery - the street names still reflect this heritage. Buy a $0.40 glass of freshly brewed beer at one of the many open-air bia hoi’s and listen to the rowdy toasts, conversations and laughter from the regulars who come here to discuss everything from sports to major business deals. Sip coffee at a streetside café and watch the endless procession of street vendors. It’s a unique way to immerse yourself in Vietnamese daily life. The Dong Van Plateau starts just north of the city of Ha Giang, about a six-hour drive from Hanoi. It is a spectacular part of the remote, mountainous region of Vietnam’s far northeast. Spectacular terraced rice paddies climb to the summits of the surrounding mountains, extending beyond the horizon. Further exploration uncovers more gems: Southeast Asia’s deepest canyon, 22 ethnic minority tribes, pristine lakes, pine forests, stone forests, caves bristling with undisturbed formations, and incredible waterfalls are just a few of the many treats that await the intrepid explorer. 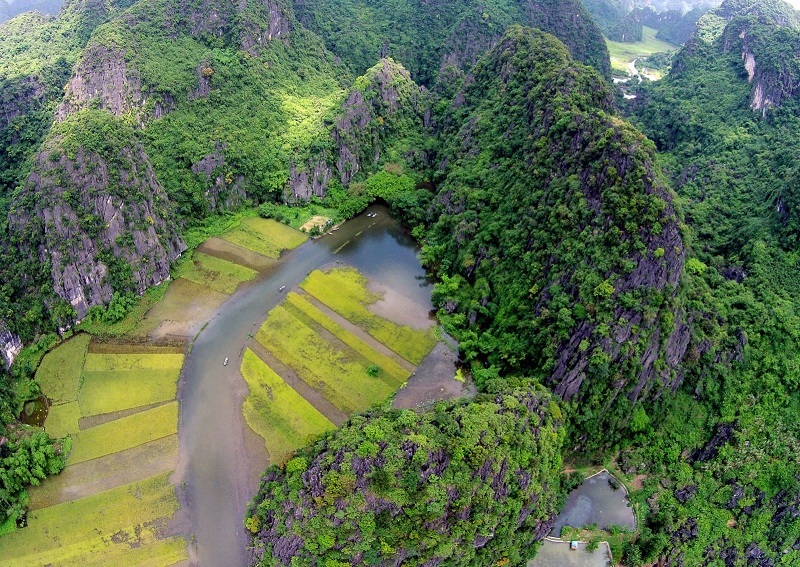 Several tranquil rivers meander near the city of Ninh Binh, just 58 miles south of Hanoi. Take a ride on an aluminum rowboat paddled by local village women and marvel at the rugged karst terrain, mountain goats, and lush foliage as you glide along peaceful river waterways through a series of dark grottoes. You can easily visit Ninh Binh as a day trip from Hanoi, though if you want to stay longer, check out Cuc Phuong National Park—Vietnam’s oldest national park—and visit one of the Southeast Asia’s largest virgin rainforests, complete with easily-accessed primitive caves, thousands of butterflies, and internationally respected primate and pangolin rescue centers. 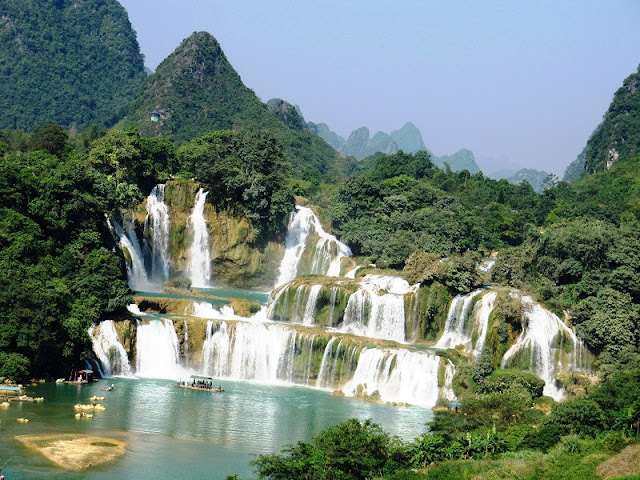 Cao Bang is mainly mountainous with spectacular scenery and good trails for trekking and exploring the ethnic minorities in the surrounding villages. In the winter snow fall is possible and there will be freezing conditions in the mountains of Cao Bang province, so be prepared with appropriate clothing. One of the most visited place is Ban Gioc Waterfall on the border with China and also beautiful Thang Hen Mountain Lake. Other beautiful places in Cao Bang are Ky Sam palace, Coi Bin monastery. The area is inhabited by the people of different ethnic minorities. A lot of the Thai and Hmong people live here but there are also other minorities are in this area – Dao, Kho Mu, La Ha Tay. 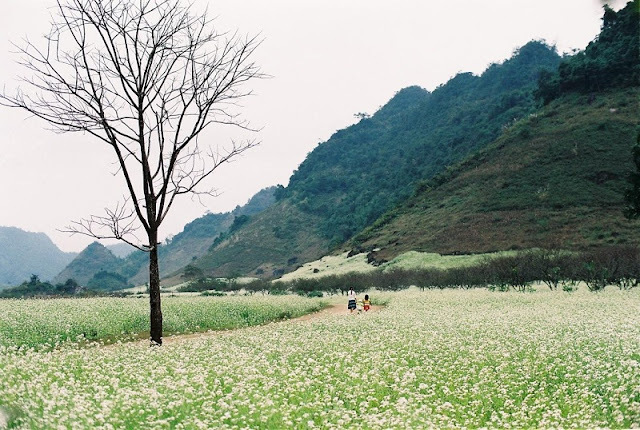 The most beautiful places to visit in Moc Chau are the pine forest in the village of Ang, Dai Yem waterfall, Pa Phach village or Doi cave and Tan Lap Tea Hill. And, of course, green tea plantations and beautiful hills around the city. 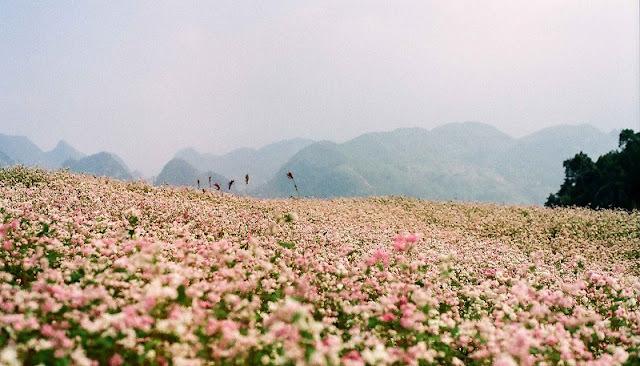 There are also several farms with cattle and flower fields. Moc Chau is a significant producer of high-quality milk and tea.